To be honest, this post is not so much about the ad than it is about discovery. In this case, it is the story of my discovery of the Lovable Brassiere Company of Atlanta, Georgia. 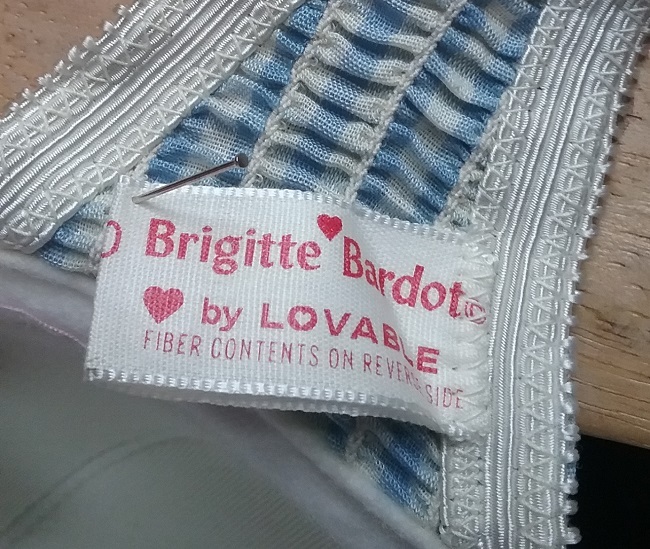 And while I’m not a collector of lingerie (though I do have a few pieces in my collection) I’m always interested in a good story about the clothing industry. It started when I found this book Woman in Atlanta, at my local Goodwill Outlet. How could I not love the photo on the front? 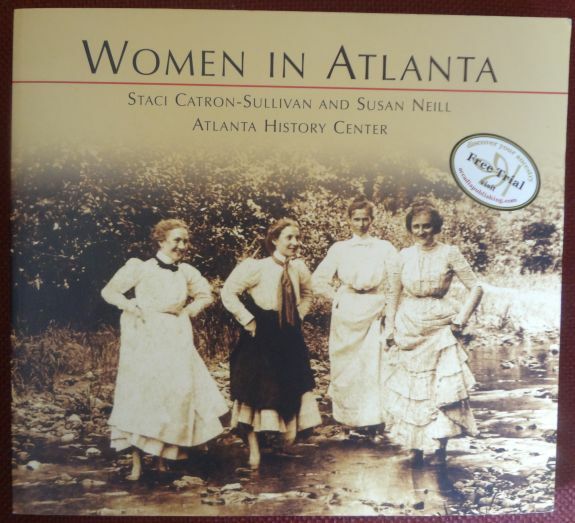 And I knew that co-author Susan Neill used to be a fashion and textiles curator at the Atlanta History Center, so I put the book in my shopping cart. As it turns out the book was an outgrowth of an exhibition at the museum in 2004, Gone with the Girdle, an exhibition I had seen and loved. There are photos of some of the clothing in the exhibition along with 150 years of photos of the women of Atlanta. While I loved seeing all the photos and learning much about Atlanta history, one photo stood out – this image of workers of the Lovable bra factory in Atlanta, circa 1940. 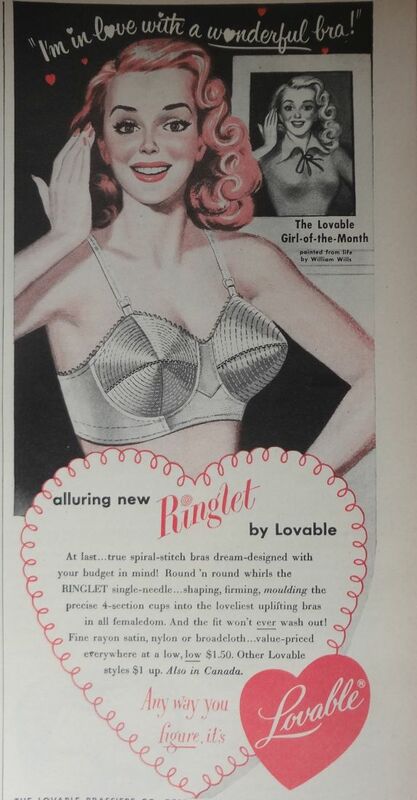 Established in Atlanta by Jewish businessman Frank Garson in 1914, Lovable Brassiere Company became “the world’s leading producer of popular priced bra fashions.” Beginning in the 1930s, Lovable fully integrated its factories and lunchrooms. The company was progressive for its wages as well; workers received $9 per week, $4 above the national average. Lovable’s marketing was aimed at both white and black consumers, though all the advertising featured white models. For those not familiar with the Jim Crow South of the early to mid twentieth century, that might not seem like such a big deal. But consider that in many places having black and white workers together in the same workplace was just not allowed. In South Carolina, usually the only black workers at textile mills were outside workers such as the men who loaded trucks. One of the excuses made for not hiring Blacks was that white people would not work along side them. Mr Garson proved that wrong by paying a higher than average wage. I had to know more about Mr. Frank Garson. A big obstacle to internet searches for old companies is that they often have a common word as the name of the company. Searching “lovable” brings up all sorts of odd links, but knowing the name of the owner and the place where the company was located really helps narrow things down. In this case, I was able to find out quite a bit about Frank Garson and Lovable, but there are still plenty of unanswered questions. Frank, who was a native of Poland, met and married his wife Gussie (from Austria) in New York City. The couple moved to Atlanta where Frank found work in the undergarment industry. Many of the online sources I found date the founding of Lovable to 1926 instead of the 1914 stated in my book. It’s not possible that Garson started the business in Atlanta in 1914 because the move to Atlanta did not happen until after son Arthur was born around 1916. It’s likely that the firm that Frank worked for was started in 1914 and that Frank did not acquire it until 1926. This is conjecture on my part. The answer is probably in the Breman Museum archive, which has oral histories from the Garson family. This led me to do a trademark search for Lovable. Interestingly, the US Trademark database lists 1932 as the beginning of the use of the Lovable trademark, and it lists the owners as Frank and Arthur Gottesman. Ancestry.com revealed that Frank Gottesman changed his name to Garson at some point after 1940. Arthur was the oldest son of Frank and his wife Gussie. Lovable remained a family business with son Dan taking over from his father, and his son Frank II after him. 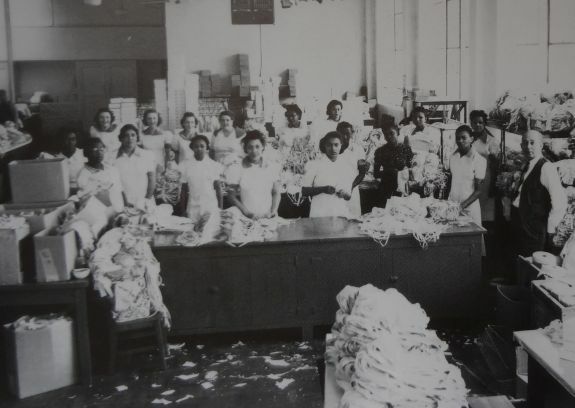 They company maintained a cutting factory (with the sewing being done in Central America) in the Atlanta area until it closed in the late 1990s. Things went bad for Lovable in 1995 when Walmart, their largest customer, changed the terms of their agreement, which made it all but impossible for Lovable to make a profit. They closed in 1998. 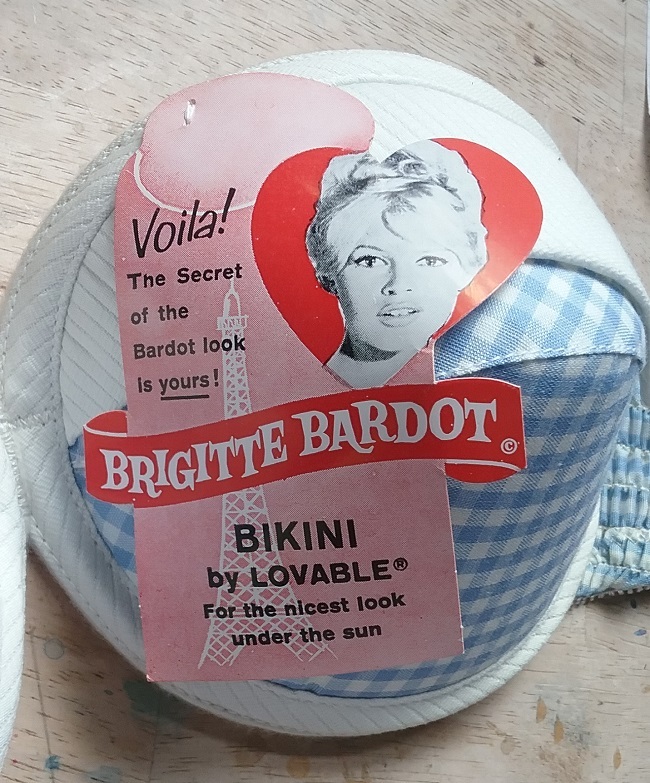 Even though the details of the Lovable Brassiere Company seem to be somewhat sketchy, one thing is for sure. Frank Garson was able to look past the accepted social “rules” in order to do the right thing. That’s a really nice legacy for a company to have. Edited to change Garcon to Garson. I don’t write a lot about lingerie because I rarely ever buy it. Not that I don’t have quite a bit of lingerie in my collection, I do. It’s just that after years of collecting I have a fair amount of undies, and now I only buy to upgrade items or to fill a gap in my holdings. Sometimes I’ll pick up something odd that I’ve never seen before. That was the case with this bra/corset. Corsets with bras are pretty common from the late 1940s and into the early 60s. They usually have a very structured bra and elastic garters. But this one is considerably older. The bra section is covered with a type of lace that I see quite often in items from the 1910s and 1920s. The shaping is very soft, much like the bras in the 1920s. Both the front and the back are laced with cotton laces. The eyelets are a silvery metal. You can see that the side backs are boned. The corset closes on the side with a row of hook and eyes. The straps are a thick satin. The ribbon trim at the top of the bra is typical of that found on 1920s lingerie. I’ve looked through all my 1920s and early 30s sources and I could find nothing like it. 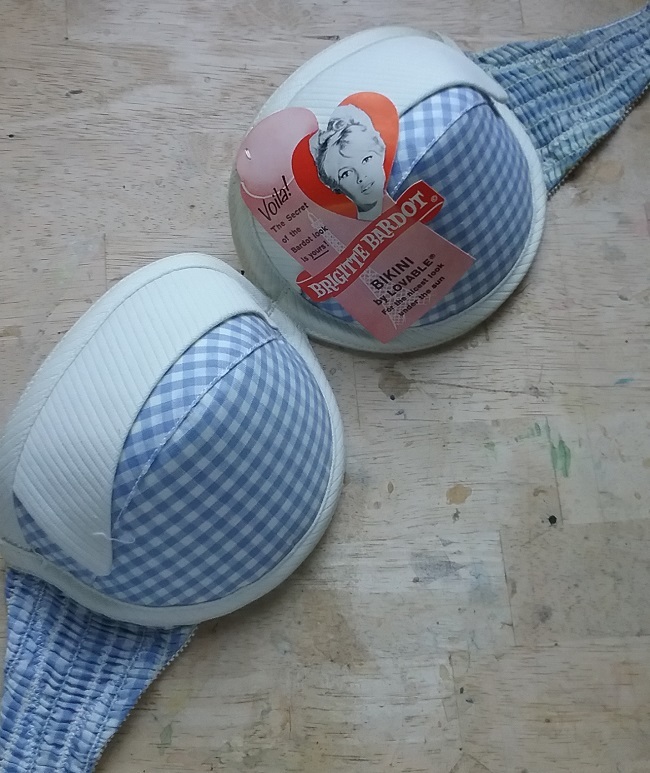 The modern brassiere was patented in 1914 by Mary Phelps Jacob, so I’m pretty sure this falls between 1915 and 1932. Any thoughts?